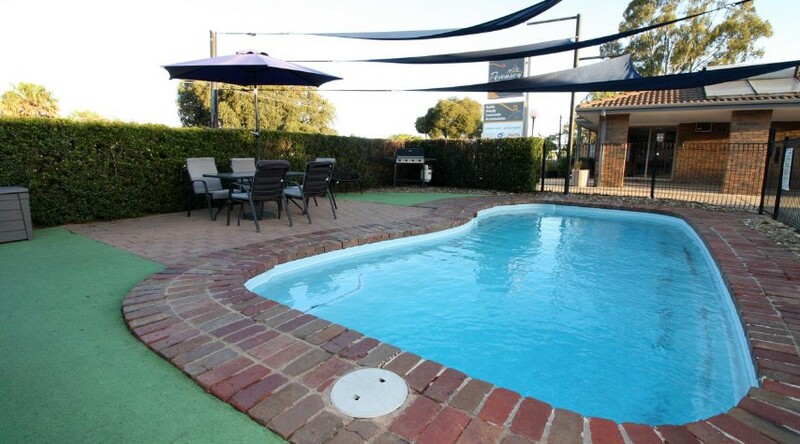 Stay at this centrally located Echuca motel, within walking distance to Port Echuca, paddle steamers, restaurants and wineries. 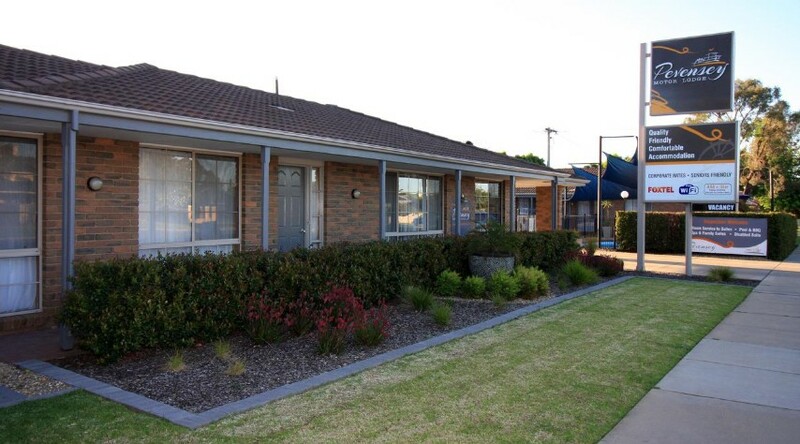 The Pevensey Motor Lodge offers 3.5-star accommodation in Echuca. 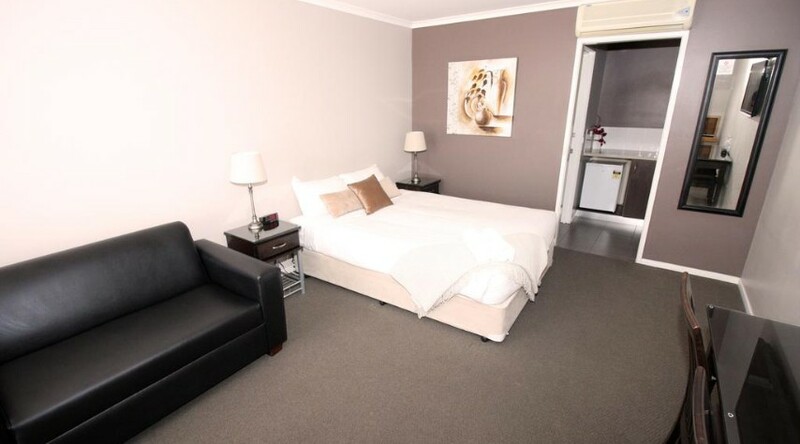 All rooms are non-smoking and feature LCD TV's, Foxtel Cable TV and FREE WI-FI Internet. 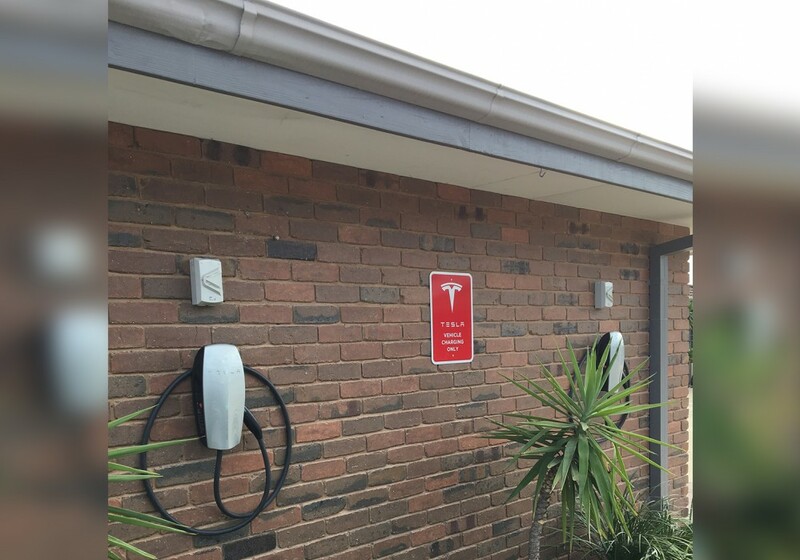 Other facilities at this Echuca motel include a swimming pool and Tesla electric chargers for our patrons. We are the perfect choice for business and leisure travellers. 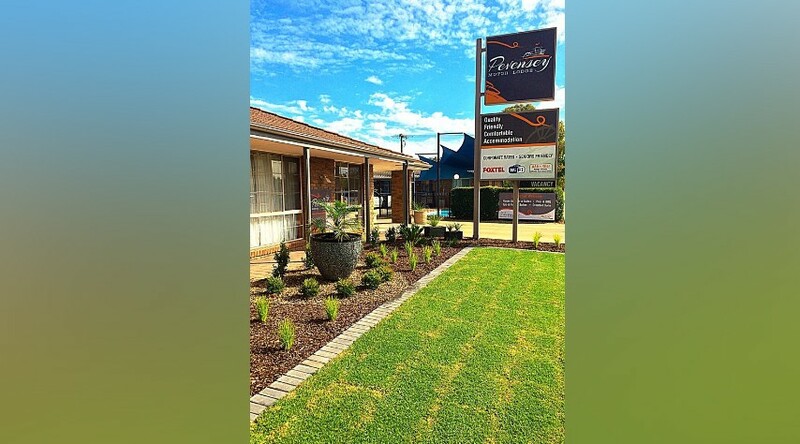 Guests staying at the Pevensey Motor Lodge will be ideally situated to enjoy the activities of the Echuca / Moama region, including nightlife, horse and buggy rides and cruises up the Murray River. 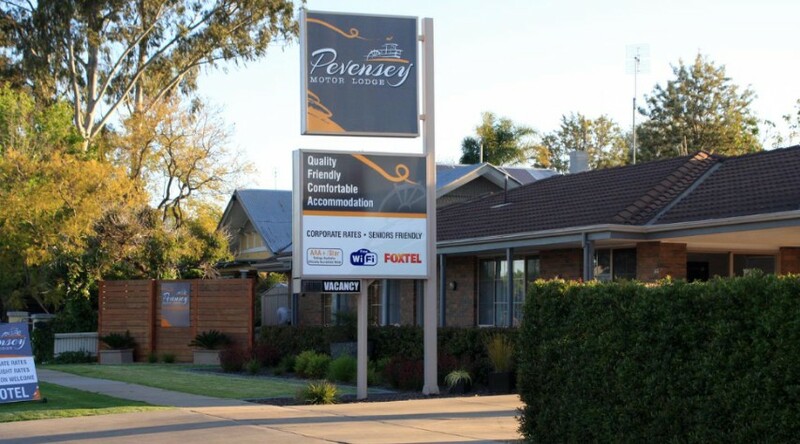 For great customer service and a central location in Echuca, make a reservation at the Pevensey Motor Lodge today and save! Winner of TripAdvisor 2014, 2015, 2016 and 2017 Certificate of Excellence. After Hours : Please contact us on 03 5482 5166 if you wish to arrive out side of these hours. Car Parking : Free Parking available, One Bay per unit. For Tesla electric cars, please ring in advance so we can allocate the correct parking bay. 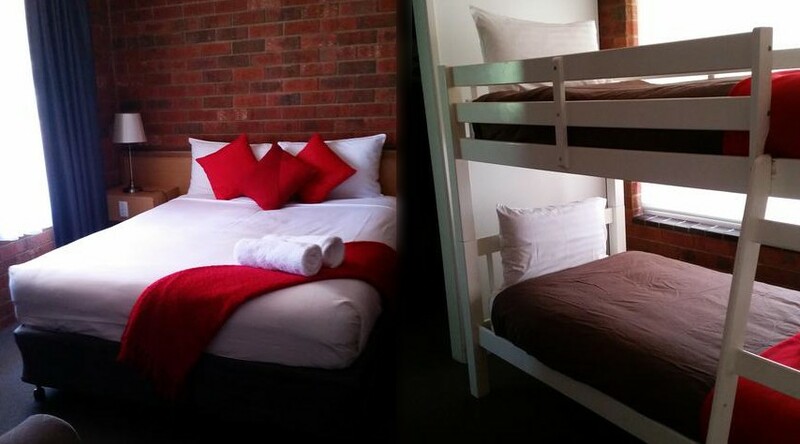 Our Family rooms sleep up to four people giving you no excuse not to bring the family! Rooms consists of TV in each bedroom. Enjoy relaxing & laying back in our generous sized spa. The Deluxe Spa suite offers a spacious layout with a with massive 50" Plasma TV so you can watch your favorite Foxtel Movie or Sport! Complete with 1 Queen bed and 1 Single bed. Recently Refurbished. Comes with all the standards and cleanliness you would expect from a high class quality motel. Our standard room offers one queen size bed. 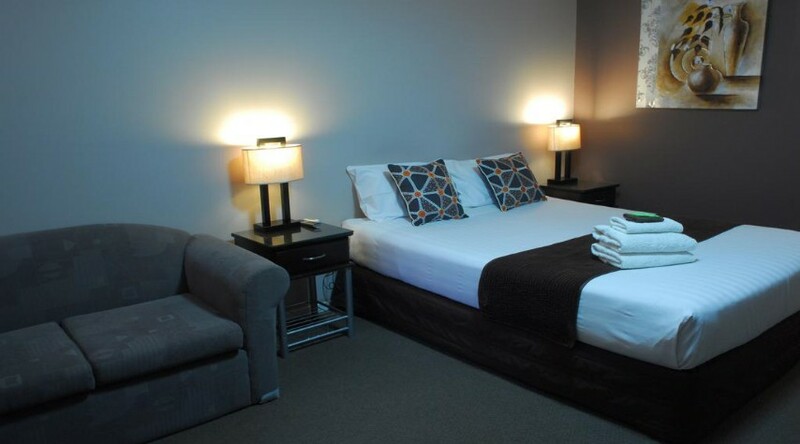 Comes with all the comfortable standards and cleanliness you would expect from a high class quality motel. We also have a Liquor License. Offering reasonable pricing for the purchase of Liquor from Reception. Restaurants are Eateries are available in walking distance. Room service is available from the comfort of your own room from the local hotel. The motel requires, your contact number, estimated time of arrival and credit card number for security of the room. 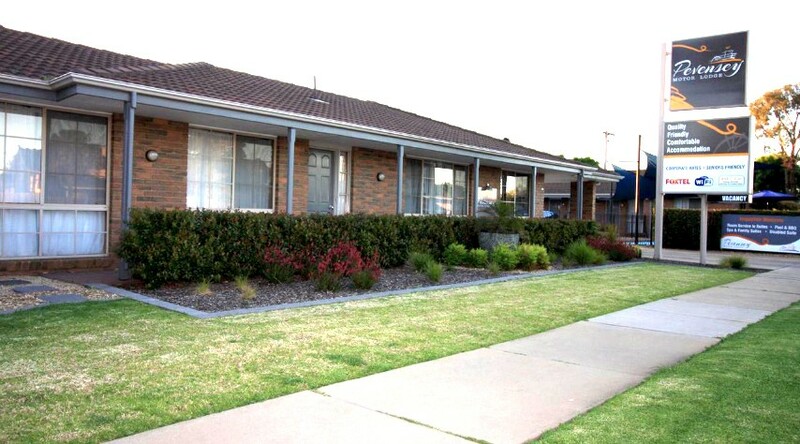 The property may withdraw 50% from the supplied credit card as a deposit 48 hours prior to check in. A deposit of 100% is required for Public Holidays, Long weekends and Festivals.Your accommodation booking may be cancelled any time up until 48 hours prior to 2pm of check in day. For Public Holidays, Long Weekends and Festivals you must cancel 14 days prior to check in date, or full amount may be deducted. 48 Hours Notice or failure to arrive on the day, The Pevensey Motor Lodge reserves the right to deduct the full amount for accommodation. *Long Weekends/Festival Events/ Major Events are 14 days cancellation notice, otherwise full amount for accommodation will be charged. The motel reserves the right to charge the supplied credit card for the full amount for accommodation and for each room booked. Cot's are available at $20 per Night. Must be arranged prior to arrival. Please adhere to maximum persons per room. If you would like to add an extra person to the room, please advise the property, as penalties apply for extra persons.